Do you agonize over choosing between a serving of crunchy, golden French fries, or a creamy and comforting loaded baked potato? Now you don’t have to! 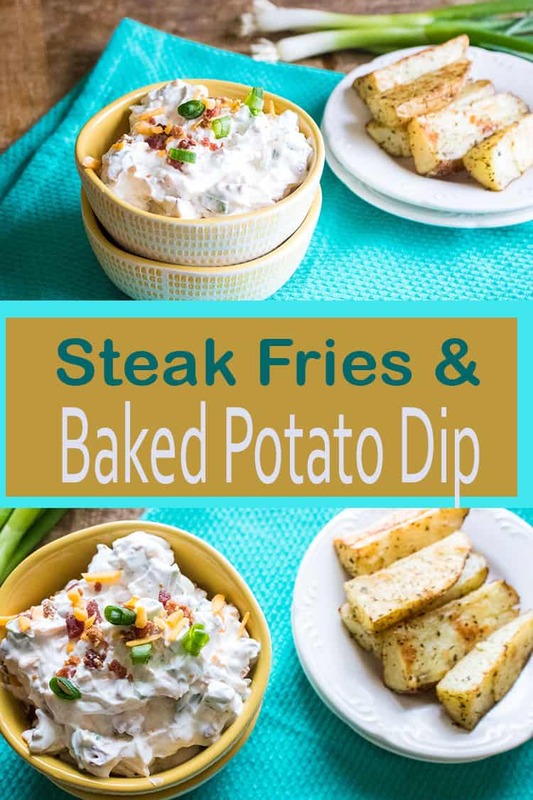 Delicious Italian Oven Roasted Steak Fries and Loaded Baked Potato Dip pairs everything you love about loaded baked potatoes with addictive, crave-worthy, oven roasted steak fries. Equally great when you’re feeding a crowd, or as a Netflix-binge night snack just for one, this dynamic food duo may soon become your very favorite. Steak fries are thicker (typically cut into 2-inch chunks or wedges) than traditional French fries, and often cooked with the skin left on. They can either be deep-fried or roasted in the oven. We love the earthy herbal quality of the Italian seasoning used in this recipe, but you can easily substitute it for any number of different seasoning mixtures. For a totally different flavor profile, try using Old Bay Seasoning. Or, if you’re in the mood to kick it up a notch, swap the Italian seasoning for healthy pinch of Cajun Creole Seasoning. The key to perfect oven-roasted streak fries is making sure they are cooked evenly on both sides. 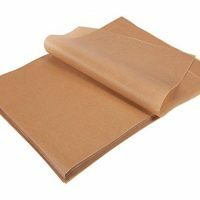 To prevent them from sticking to the baking sheet (which makes it difficult to turn them), line the baking sheet with parchment paper, or try using a silicone baking mat. If you don’t already own one, it’s a worthy investment. Not only do they prevent sticking, they also reduce the risk of burning. And you can use them to roast or bake most anything, whether it’s vegetables (like steak fries) cookies, or delicate cuts of fish. Plus, they make cleaning up a breeze! 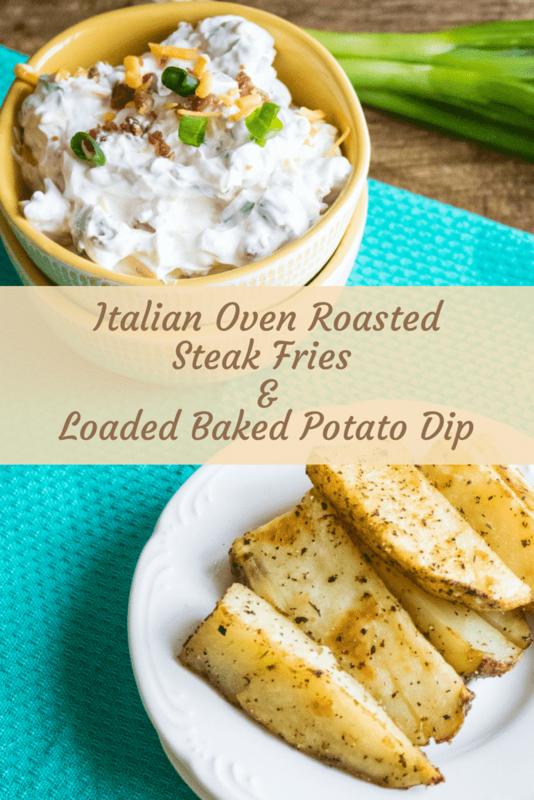 Only one thing can make Italian Oven Roasted Steak Fries better, and that’s pairing them with Loaded Baked Potato Dip. 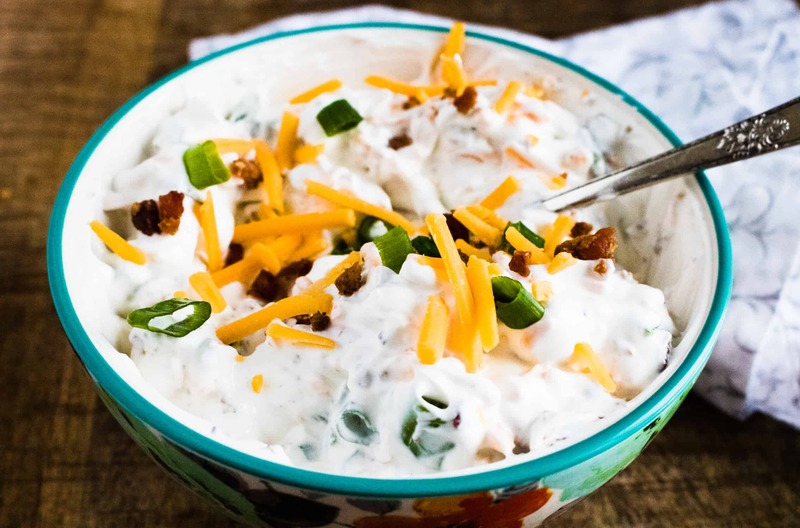 It’s all the baked potato flavors you love, but in a convenient dip form, which make it a perfect choice for barbecues, picnics, or tailgating at the big game. 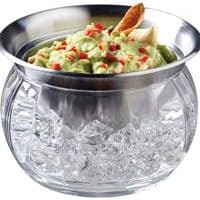 Whether it’s served with delicious Italian Oven Roasted Steak Fries, a tray of veggie sticks, or your favorite bag of chips, it’s sure to please any crowd! Plus, it’s so easy to put together, it just might end up as your go-to condiment of choice. Move over, ketchup! For a different twist on oven roasted fries, check out this Baked Easy Sweet Potato Fries Recipe. 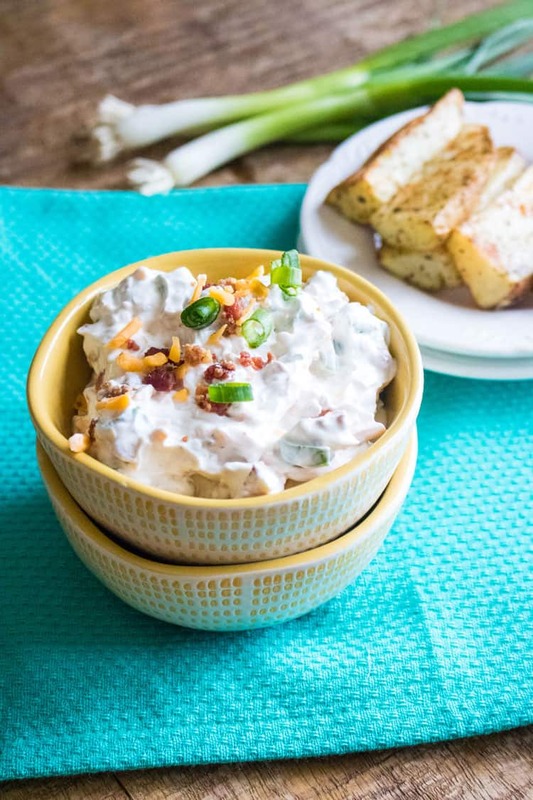 Rosemary Bacon White Bean Dip with Parmesan Breadsticks is another great crowd-pleasing recipe. Craving more baked potato flavor? 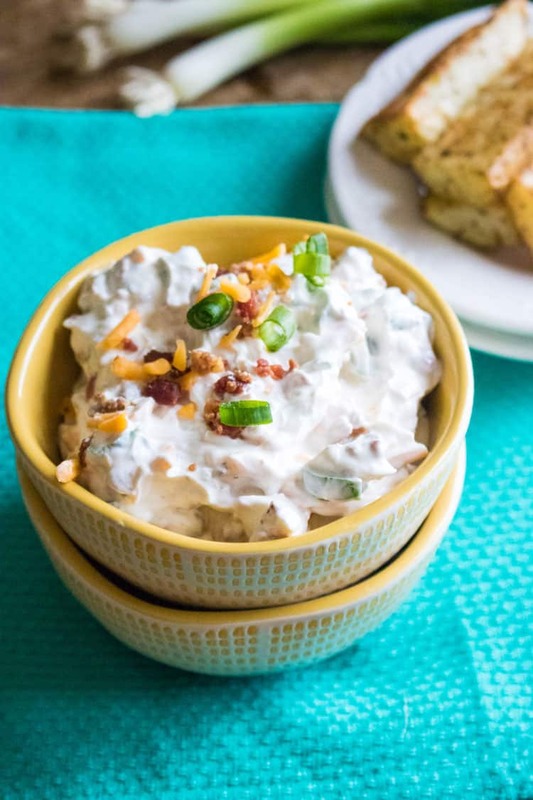 You’ve got to try our Loaded Baked Potato Salad! 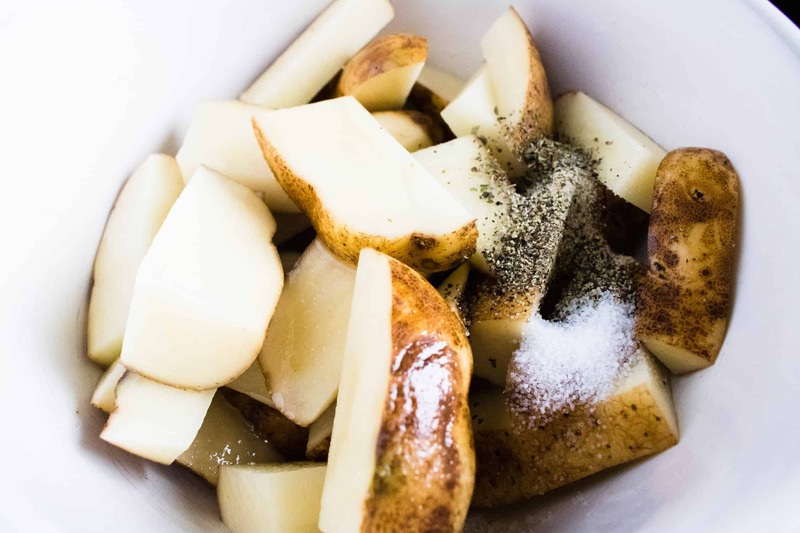 In a medium-sized mixing bowl, combine potato chunks, oil and seasonings. Stir to combine well. 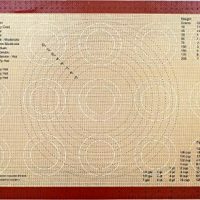 Line a baking sheet with parchment paper or a silicone baking mat (shown). 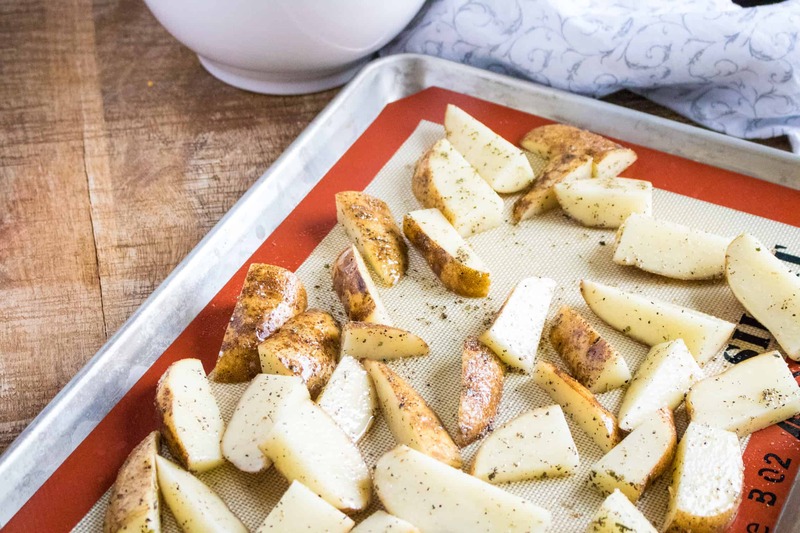 Spread potatoes over the baking sheet and bake for 30-35 minutes, turning potatoes over once halfway through baking. 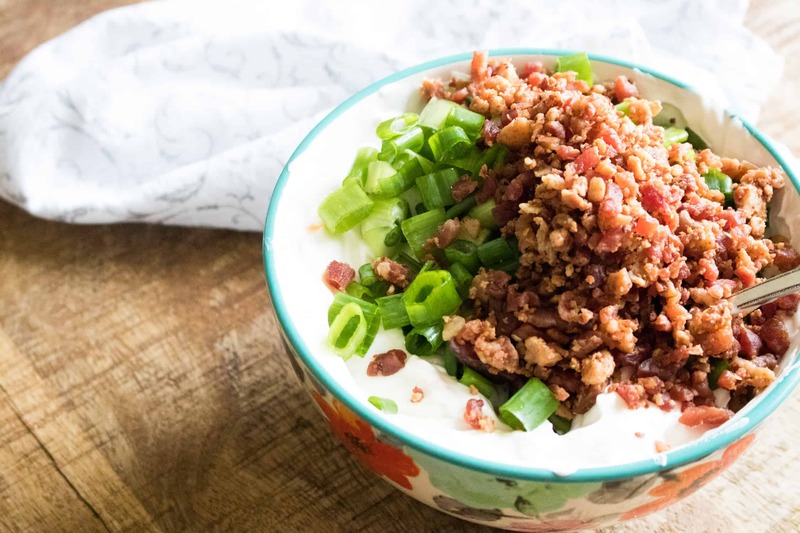 In a medium-sized mixing bowl, combine sour cream, bacon, cheddar cheese and green onions. Stir well. Refrigerate for later, or serve immediately. 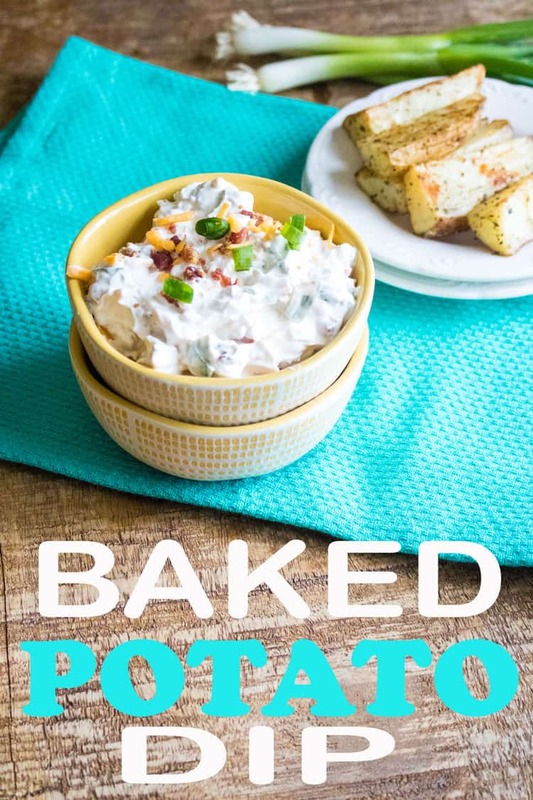 Pair up Loaded Baked Potato Dip with Italian Oven Roasted Steak Fries, and enjoy! Crave-worthy oven roasted steak fries find their perfect match in this convenient and crowd-pleasing dip. Stir well. Refrigerate or serve immediately.